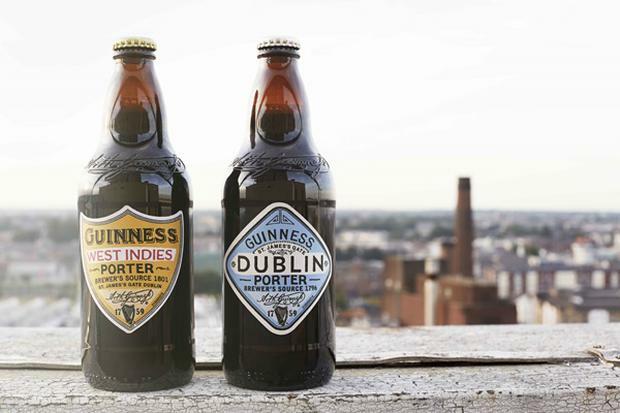 After an evening sipping the 'Dublin' and 'West Indies' porters Patricia Murphy wonders why mess with something so perfect. Journalism is not a career path to embark upon if you ever intend to have a bursting bank account but every so often a dreamy press party softens the blow of such a life choice. One such party was held this week in Guinness Storehouse to celebrate the official opening of Brewhouse No.4 and it didn’t take much persuasion to coax me into an evening of pint sipping, as it rarely does. Naturally, moments after stepping out of the glass elevator a beeline was made for the busiest bar in the joint; the one boasting Guinness’ two new porters ‘Dublin’ and ‘West Indies’. We stood amidst the other merry party goers and scooped a taster or two and followed them with a pint or two. We pretended to one another that we could taste the ‘subtle caramel and burnt biscuit finish’ and nodded that, indeed, we could get a sniff of the ‘hoppy aromas’ boasted about on the tasting notes. Happy out so I was supping my trendy porter and popping canapés into my mouth like there was no tomorrow. An older man trotted past me then, clutching two creamy pints of Guinness within each palm. He handed one to his companion and they merrily clinked their glasses together before taking a healthy sup. The two had the right idea. I have an uncle from Co. Clare, John Mac, who perhaps should be an ambassador for Guinness. That’s not to say he drinks too much of it at all but when in the pub or at the races, there would never be anything else in his hand other than a pint of Guinness and if there was it is an immediate indication that the pint being pulled must be particularly muck. Whether intentionally or not, he often can be seen with a ‘Guinness’ cap and I can bet when he was up in the Gravity Bar, he had nothing other than what surely must be the most perfect pint of Guinness in Dublin. The thing about a great pint of Guinness is that everything else is incomparable. 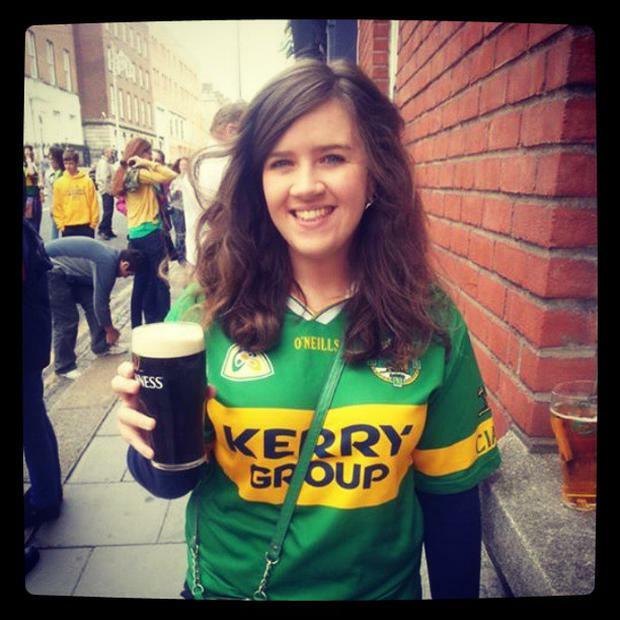 On All-Ireland Final Day, what else would you be doing except sinking a creamy Guinness before warming your seat in Croke Park, thinking of the thousands of other people who have spent September afternoons doing the same thing for decades. In the winter when the rain is pummelling from the sky, the most perfect place in the world is within an old man pub with a friend, a pint of Guinness and a pack of crisps between you. In Shannon Airport down through the years I witnessed many last pints of Guinness being clinked between my parents and those waving us off as we boarded an Aer Lingus plane bound for New York. A drink wasn’t to be shared together for another year at least and although it was sad, Guinness was probably most apt. 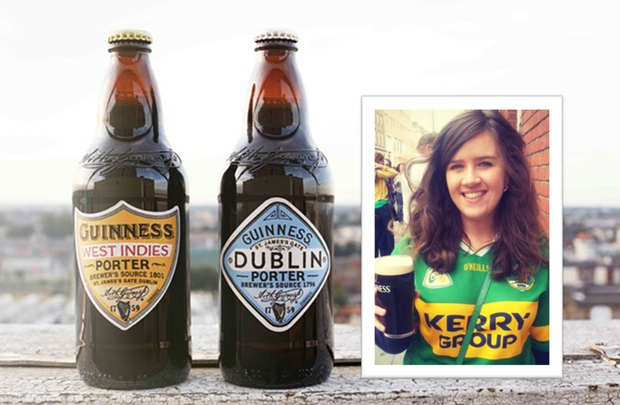 A pint of Guinness is so deeply rooted in Irish culture that I don’t envision the beautifully branded new porters to hold everyone’s attention for very long. With men, you often spend the night flirting with the stylish and bubbly guy at the party only to realise that the one you had, and loved, was perfect all along. Last night, when I clasped my eyes upon that older man clutching two pints of Guinness I knew exactly what I wanted. 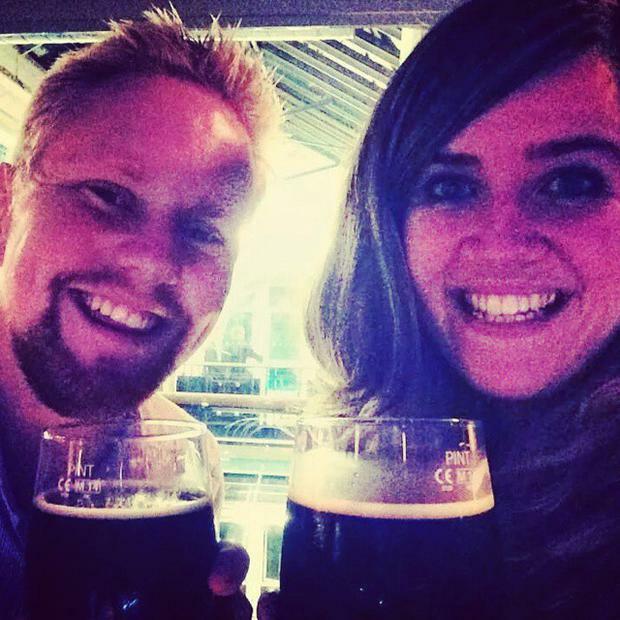 I abandoned my ‘Dublin Porter’ in a heartbeat. Soon enough I was sipping my pint of the black stuff and it was just as perfect as I remembered. In fact, I realised, it was nothing but perfect all along.